Childcare centers tend to speak a single marketing language. Leaf through a few daycare brochures and you're bound to find plenty of building blocks, oversized rainbows and colorful fingerprints. After a while, it can be tough to distinguish one place from another. So when childcare franchise Discovery Point asked Trevelino/Keller to lead a rebranding, we knew we wanted to give them a fresh voice. In a business where so many people are saying the same thing, a rebranding can establish unique identity and attract new customers. It can also draw renewed focus to a mission, which is central to Discovery Point’s work. An early tagline draft, “Discover the Possibilities,” was apt but perhaps a bit obvious. Our creative team shifted gears and considered what makes Discovery Point such a singular childcare center. 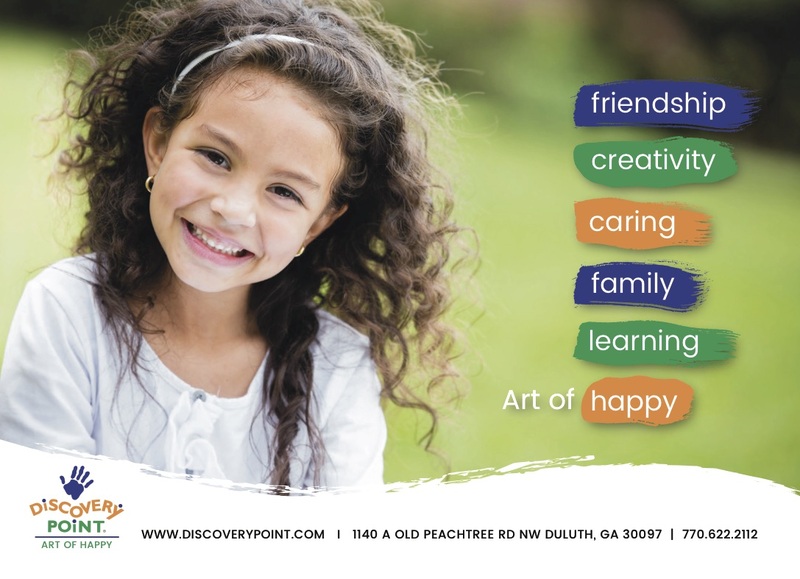 Founded by Cliff Clark and his wife, Diane, Discovery Point was created as more than a place for parents to drop off their kids – it’s somewhere they can grow, learn and find happiness. The tagline captures Discovery Point’s mission but is adaptable, meaning the brand can speak with a single voice while giving franchisees some breathing room. We also designed collateral with a watercolor motif, alluding to the arts concept at the heart of our work. The new materials are a lot of fun, and they give parents, teachers and potential new owners a clear sense of the Discovery Point brand. “The Art of Happy” embraces the things that make Discovery Point stand out from other childcare centers, which is empowering for its franchises. We’re proud of our work, but more important, the client is happy too.